You want to maintain your skis: leave them at the end of the afternoon and get them back next day at the shop opening. Waxing: warm, for a perfect skiing. Sharpening: precise, personalized, ceramic tuning. Over molding: leave with an entirely new sole. 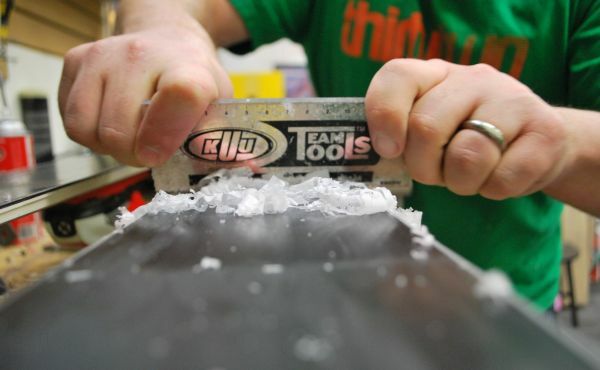 Repair: true "surgeons" of skis, our technicians will find the best solutions for your problems of equipment. Binding adjustment: according to your corpulence, your ski level and your size. For your ski and snowboard rental, we offer you the best brands of the moment. For each new rental, skis are systematically waxed and sharpened in our workshop. We offer free deposit for your skis should you desire.